These comfort color tank tops will be your favorite thing you wear this summer! They're adorable, lightweight and comfortable. 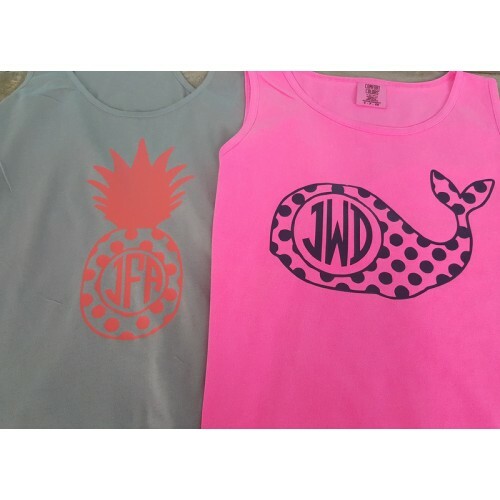 Choose from a pineapple or whale monogram to give it a unique look that will catch everyone else's eye! Please choose pineapple or whale and tell us what color you'd like it screen printed in.